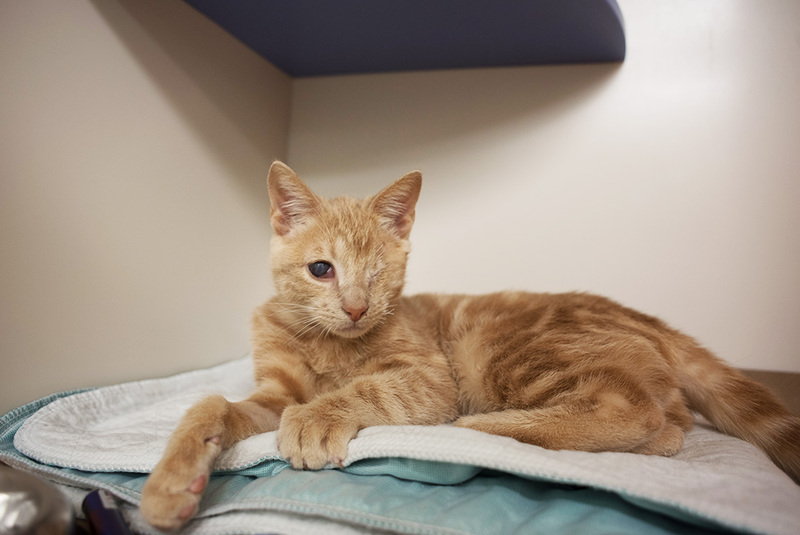 Maguire arrived at the ASPCA with a severely injured left eye, so the eye was removed. His right eye has scarring on the cornea, but does not require any treatment. 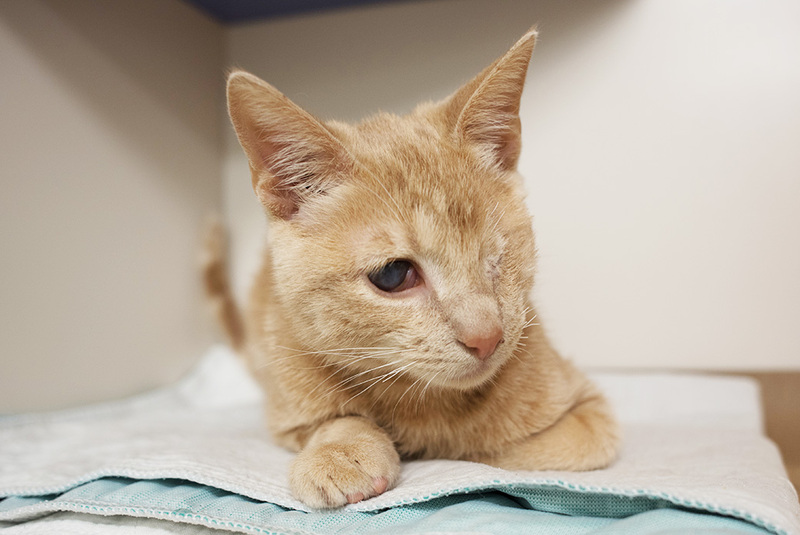 Despite some compromised vision, Maguire is happy, playful and gets around very well.